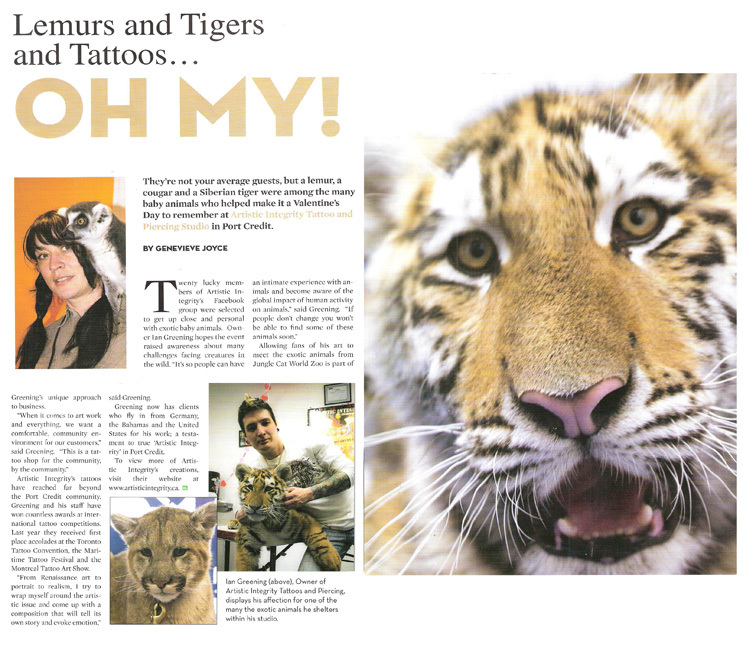 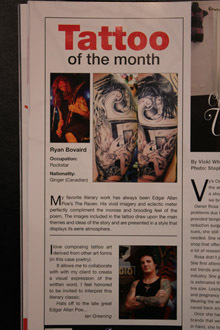 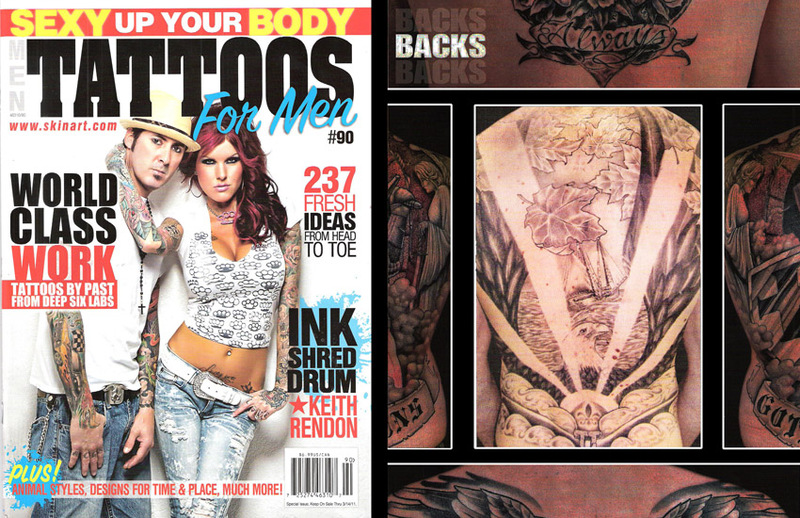 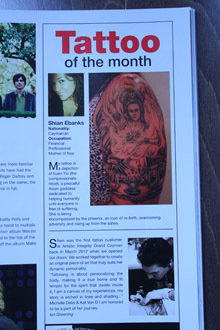 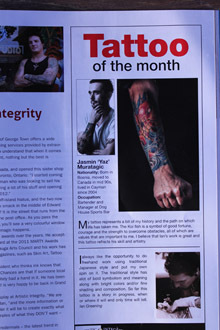 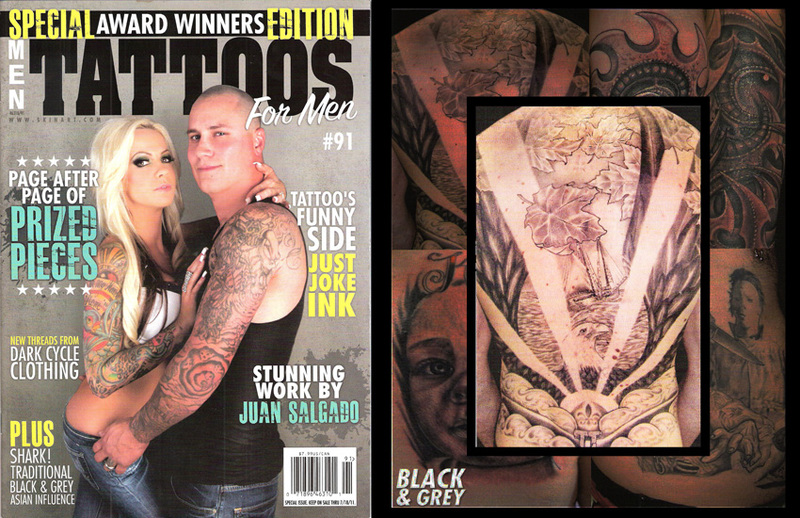 Thank you Mississauga news readers for voting us Best Tattoo studio in Mississauga! 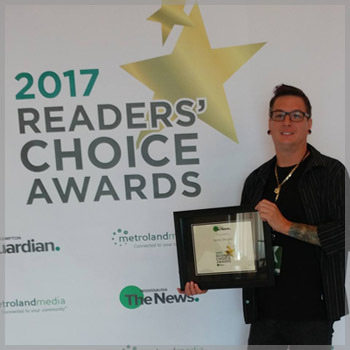 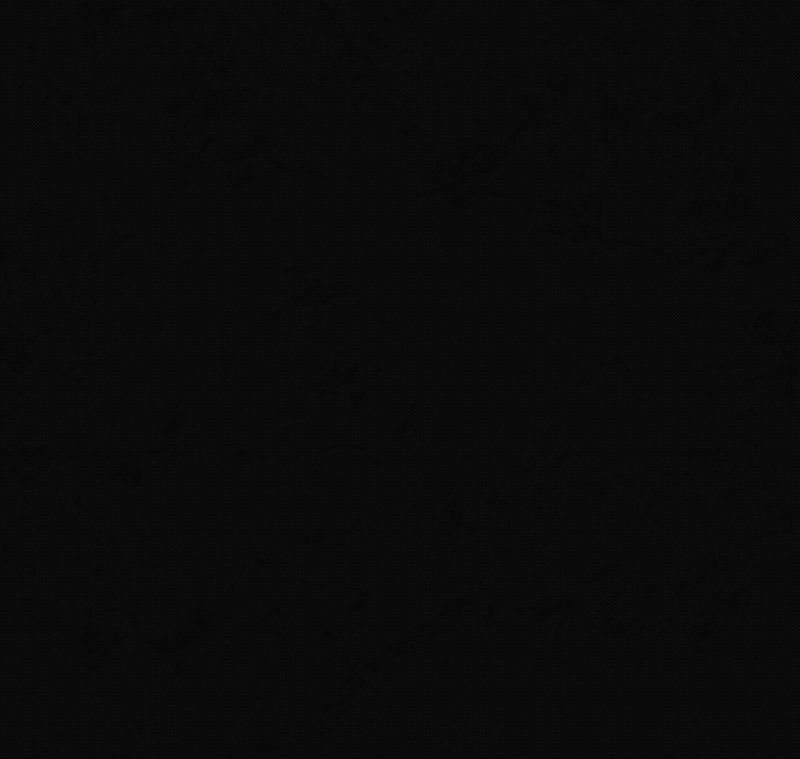 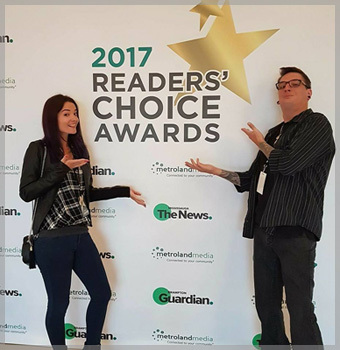 The Readers' Choice is an annual survey completed by local residents that tabulates the most trusted local businesses for products and services in Mississauga, Ontario. 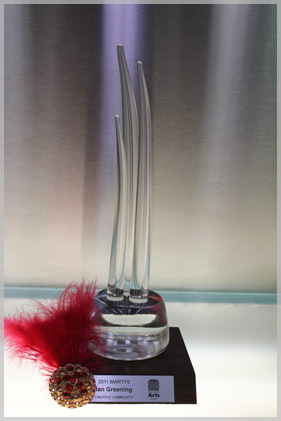 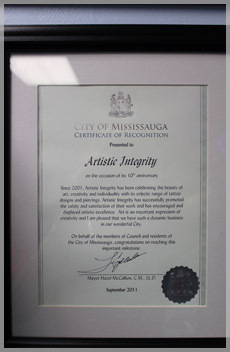 Artistic Integrity is highly respected and accredited throughout the art community; in 2011 owner Ian Greening was nominated and won the prestigious Creative community arts “MARTY” award presented by the Mississauga Arts Council at a Gala in The LIVING ARTS CENTER. 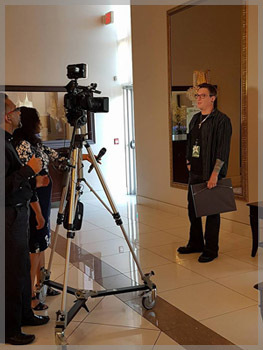 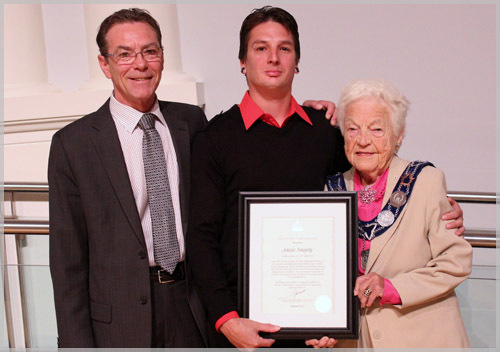 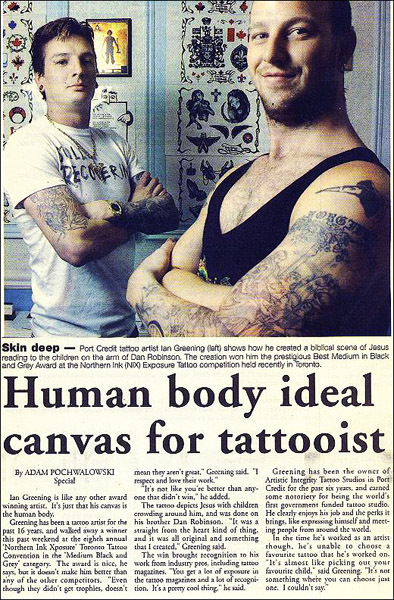 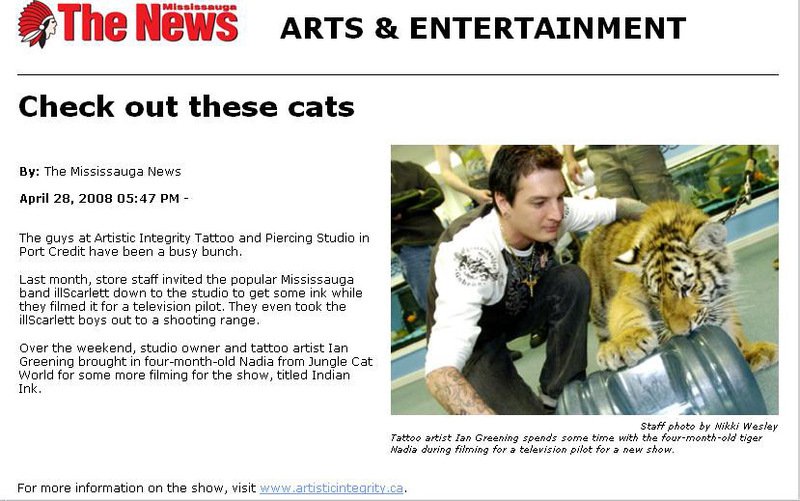 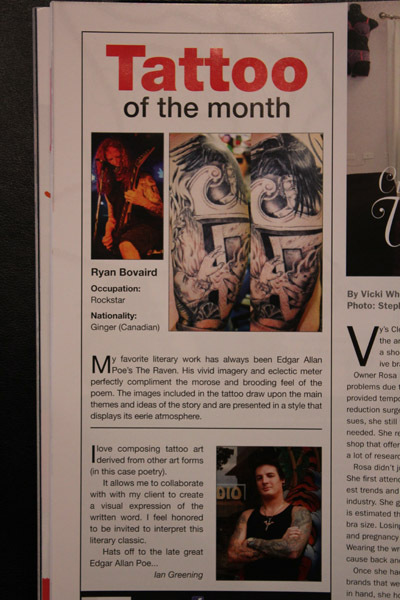 Also in 2011 Ian accepted a Certificate of Recognition form Mayor Hazel McCallion for his dedication to the arts on behalf of Artistic Integrity Tattoo Studio. "Artistic Integrity has successfully promoted the safety and satisfaction of their work and has encouraged and displayed artistic excellence. 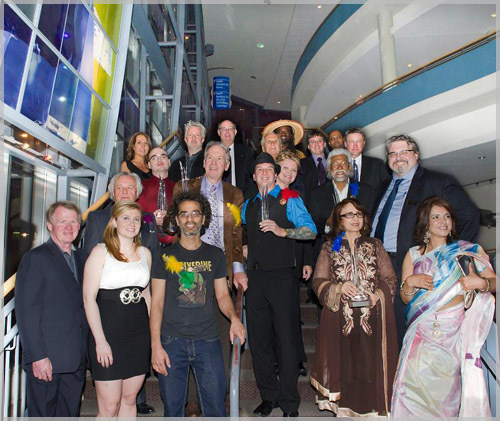 Art is an important expression of creativity and I am pleased that we have such a dynamic business in our wonderful city." 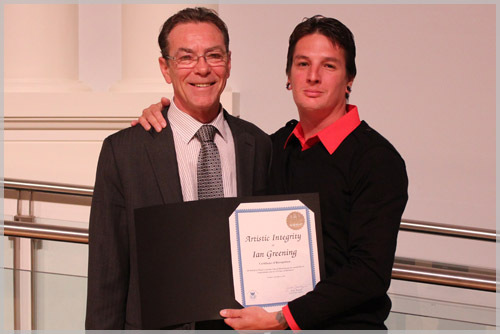 As an pleasant surprise Ward 1 City councilor (and good friend) Jim Tovey also made an appearance to present Ian with a certificate of congratulations for the 10 year anniversary of Artistic Integrity Mississauga. 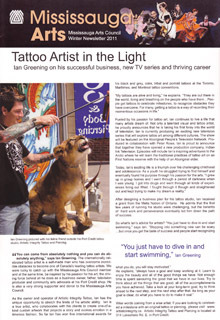 Owner/ Artist Ian Greening has won several awards in international tattoo competitions for his superior Color, Black & Grey, Portrait and Tribal tattooing skills in the Toronto, Montreal, and Maritime Tattoo conventions. 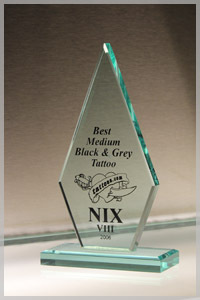 2006 - The 8th annual Toronto International, Northern Ink Exposure “NIX”- Ian took home First Place in the Medium “Black and Grey” category for displaying the Most Realistic Tattoo of the competition. 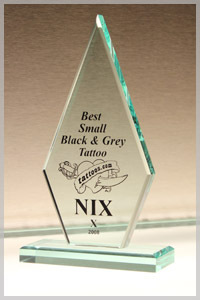 2008 -The 10th annual Toronto International, Northern Ink Exposure “NIX”- Ian took home First Place in the Small “Black and Grey” category for presenting the Best Portrait Tattoo of the competition. 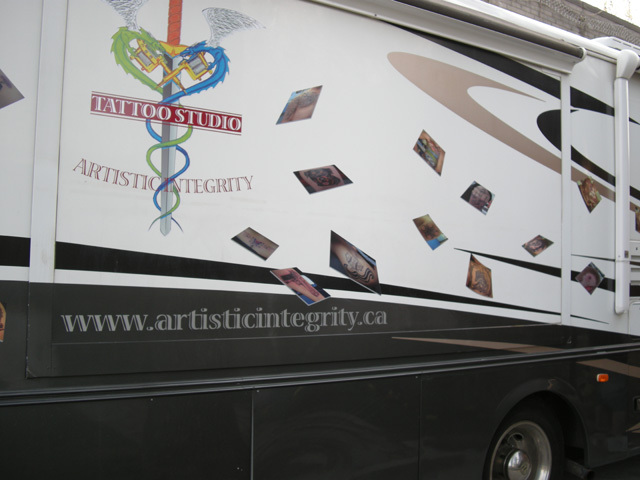 Ian continued across Country in the “Artistic Integrity Tour Bus” to the Maritime Tattoo festival in Halifax and the “The Montreal Tattoo Art Show”. Ian took the first place award for representing the best Full Back Black & Grey Tattoo. 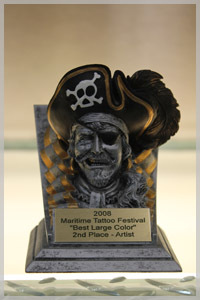 Ian took 2nd place for a full Color Side Oriental Style Tattoo. 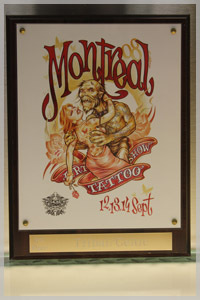 Ian won 3rd in Montreal for Best Tribal Tattoo.